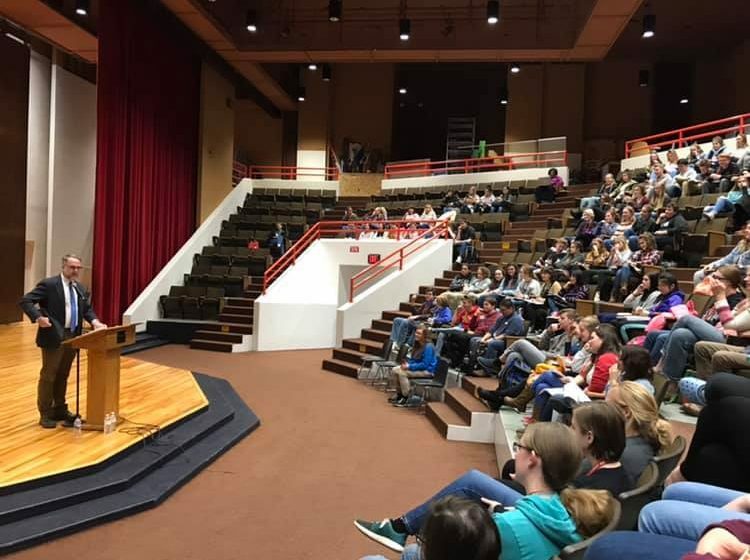 Nearly 200 students and 11 guest presenters gathered for the Rapid City Advanced Placement Writers’ Conference on March 8th at Central High School. The event was hosted by the language arts teachers from Central and Stevens High Schools. The keynote speaker was poet Aaron Belz, who, thanks to grant from the Rapid City Public Schools Foundation, came from Savannah, Georgia, to read his work and guide students through a workshop on using language’s texture and meaning effectively. In addition to Mr. Belz, an array of writers from various fields presented to students their work and insights about writing.